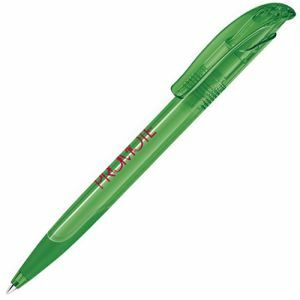 Promotional Techno Enterprise Ballpens, a retractable, push-button action printed pen made with special composite material that looks and feels like metal but not at a metal price. 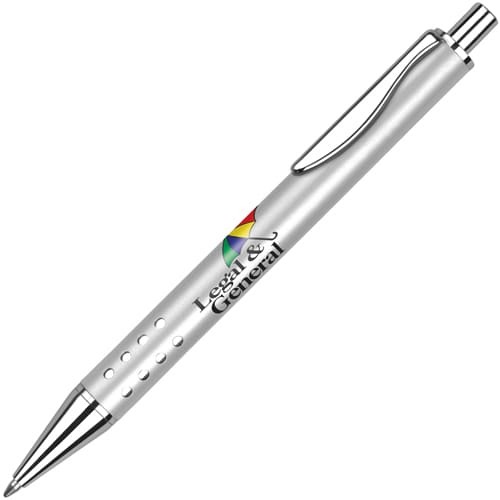 These personalised Techno Enterprise Ballpens are an ideal giveaway gift or promotional resale item, especially as they are supplied in a free, unbranded presentation tube. A modern, stylish pen that is a must for any executive or any business or campaign wishing to promote their logo in a professional, high quality light. 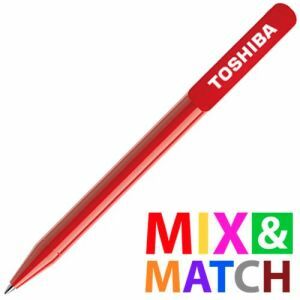 Supplied with black ink as standard. 5 working day lead time is based upon a 1 colour print and up to 5000 units, more printed colours and higher units may add extra production time.